Your dog will never again have to sit home alone when you head out to the lake -- with the Load-A-Pup from Great Day, you and your dog can enjoy all the fun associated with recreational boating. 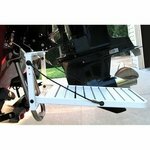 Just attach the Load-A-Pup to your boat's boarding ladder and you are ready for action. 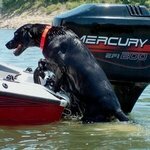 Your dog can leave and re-enter your boat whenever he wants. The great thing is, he can do it without any help -- no more bending, tugging or straining! 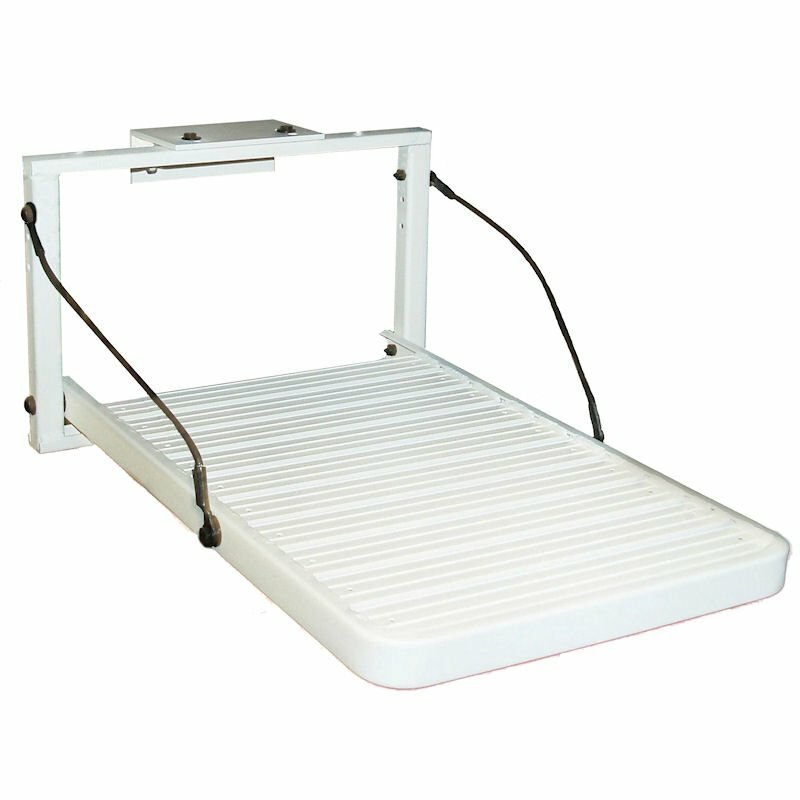 The Load-A-Pup platform is constructed of lightweight 1" square aircraft aluminum tubing and includes gripping ridges to ensure solid, safe footing as your dog climbs back into the boat after a swim. The Load-A-Pup's off-white powder-coat finish not only complements the factory finish or color of any boat but will help to ensure years of dependable service. 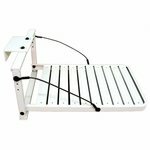 The Load-a-Pup fits any boat that has a boarding ladder. Features a 200 lb. capacity and large 16" x 23" platform, yet still only weighs seven pounds! It comes complete with security straps, installs in seconds and folds flat for compact storage when not in use. Made in the USA. 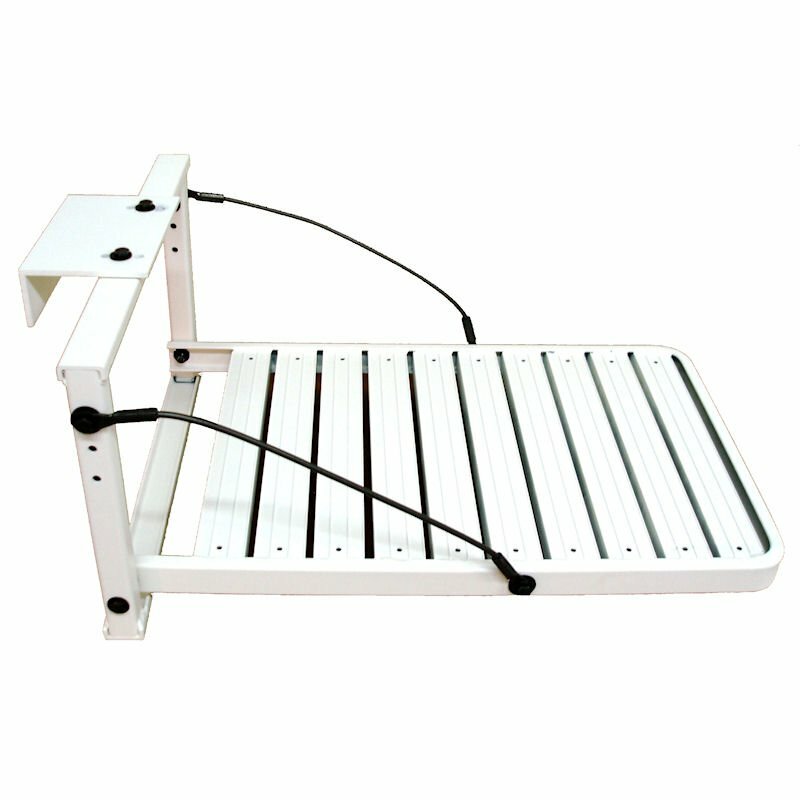 If your boat doesn't have a ladder, check out the Load-A-Pup HD. NOTE: Not intended for human use.